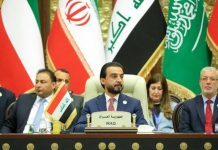 Lawmaker of the defunct Palestinian parliament was arrested in July 2017 for being a member of a party banned by Israel. Israel has released a prominent Palestinian legislator who had been held without trial for 20 months over links to the leftist Popular Front for the Liberation of Palestine (PFLP). Khalida Jarrar’s husband, Ghassan, said the 56-year-old legislator was freed on Thursday, and Hanan Ashrawi, a senior member of the Palestinian Liberation Organization (PLO), also confirmed Jarrar’s release. “This imprisonment was yet another chapter in a lifetime of persecution and oppression from the Israeli occupation to this prominent human rights defender and elected representative, including several arrests, house arrest and a ban on travel due to her activism against occupation and her work in defending the national and human rights of her people,” she said. 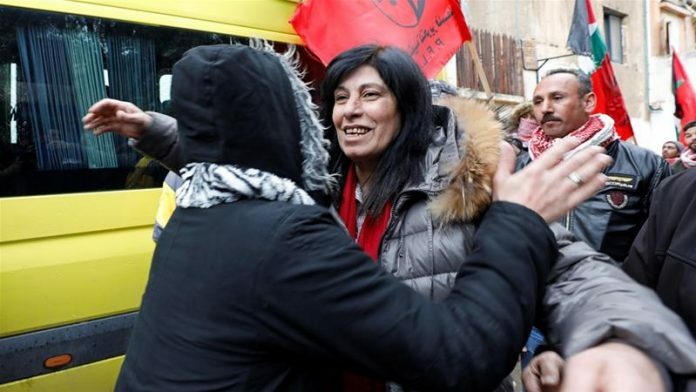 Jarrar, a mother of three, was arrested on July 2, 2017, for being a senior member in the PFLP, a movement considered a “terrorist organisation” by Israel, the United States, and the European Union. Details of the accusations against her are secret, as is customary with Israeli administrative detention orders, which allow suspects to be held without trial for renewable six-month periods. A legislator in the largely defunct Palestinian parliament, Jarrar was given a six-month administrative detention order shortly after her arrest that was later extended several times. The Israeli army said after one such extension that “security personnel found she still poses a substantial threat”. Many PFLP leaders are in custody and Jarrar has been jailed multiple times. Since her detention began, the Palestinian parliament has been dissolved due to internal strife. Jarrar had only been released in June 2016 after 14 months in an Israeli jail for allegedly encouraging attacks against Israelis, allegations that Jarrar and her family have denied. Israel said administrative detention is intended to allow authorities to hold suspects while continuing to gather evidence, with the aim of preventing attacks in the meantime. But the system has been criticised by Palestinians, rights groups and members of the international community who say Israel abuses the measure.